Wild Ride Pool Slide Complete. This rugged pool slide will give you years of WILD poolside fun. 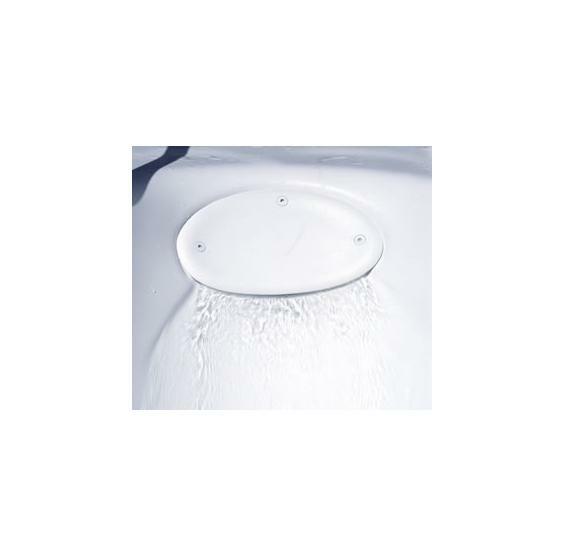 The Wild Ride pool slide by Inter-Fab is a full 6'6" and is equipped with the "Zoom Flume" patented water supply system. FREE SHIPPING! 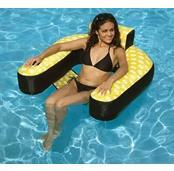 THE ULTIMATE THRILL SEEKERS POOL SLIDE! Backed by a 3-Year Manufacturer Warranty. The Wild Ride pool slide comes complete with stainless steel deck anchors, plumbing kit & hardware package. Available in white only. The Wild Ride Slide can can support up to 250 lbs. Note: Shipped by truck line. Allow up to 7-10 working days for delivery. 6'6" Makes it Our Fastest Pool Slide! This rugged pool slide will give you years of wild poolside fun. 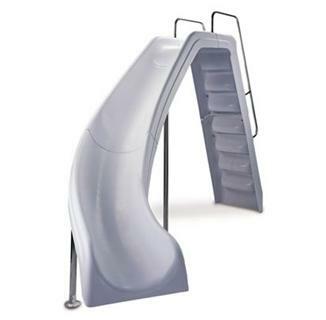 The Wild Ride pool slide measures a full 6'6" and is equipped with the "Zoom Flume" patented water supply system. 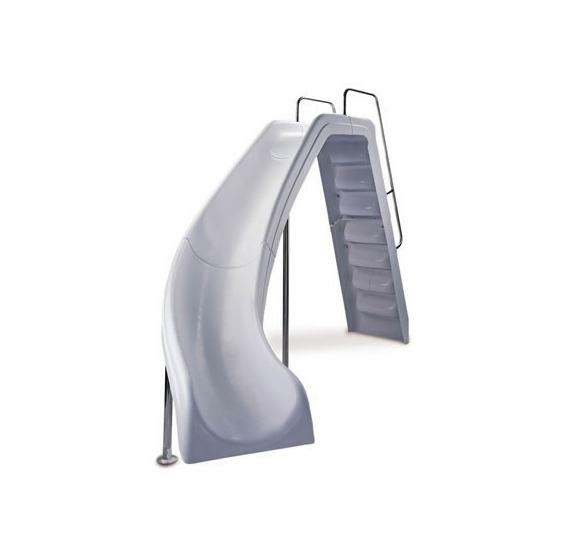 The "Zoom Flume" delivers gushing water to the slide ensuring a slippery surface for wild excitement and faster pool slide action. 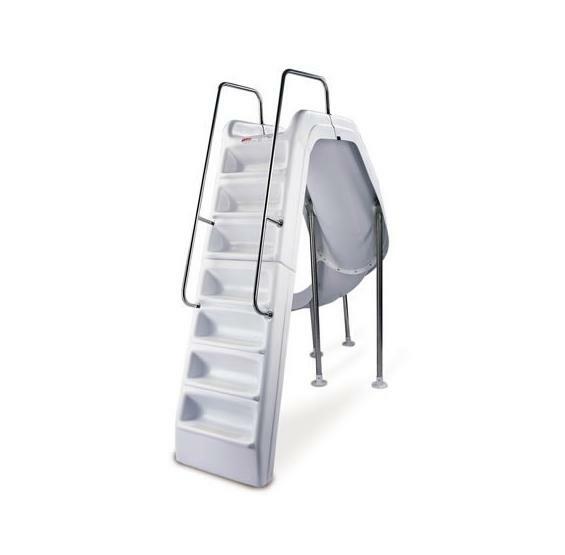 The fully enclosed non-skid steps insure safety for all ages. Rugged stainless steel rails, legs and hardware provide strength and long-lasting beauty in all weather conditions. Our pool slide is manufactured with ACTRA™ acrylic that provides superior flexibility and fade-resistance. The Wild Ride pool slide will retain its good looks for many seasons. Backed by a 3-Year Warranty. The pool slide comes complete with stainless steel deck anchors, plumbing kit & hardware package. Available in white only. The Wild Ride Slide can can support up to 250 lbs.